Ada pertanyaan untuk Novotel Vilnius Centre? Baik Anda turis maupun dalam perjalanan bisnis, Novotel Vilnius Centre adalah pilihan akomodasi yang tepat ketika mengunjungi Vilnius. Dari sini, para tamu dapat menikmati akses mudah ke semua hal yang dapat ditemukan di sebuah kota yang aktif ini. Lingkungan yang terawat dengan baik serta lokasi yang berdekatan dengan Lucky Belly, British Council, GO9 memberikan nilai tambah untuk hotel ini. Di Novotel Vilnius Centre, setiap upaya dilakukan untuk membuat tamu merasa nyaman. Dalam hal ini, hotel menyediakan pelayanan dan fasilitas yang terbaik. Ada beberapa fasilitas hotel ini seperti resepsionis 24 jam, fasilitas untuk tamu dengan kebutuhan khusus, penyimpanan barang, Wi-fi di tempat umum, layanan kamar. 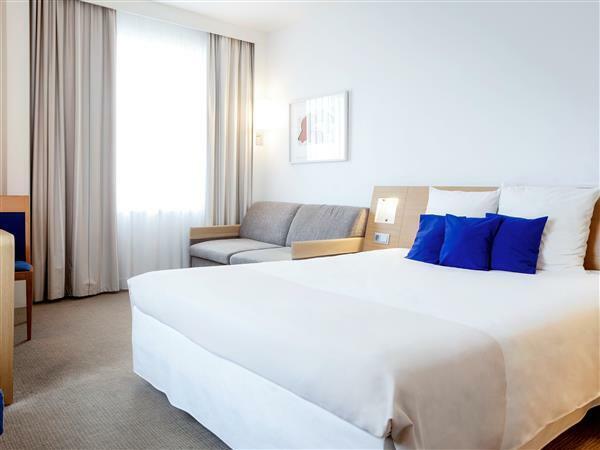 Novotel Vilnius Centre memiliki 159 kamar tidur yang semuanya dirancang dengan citarasa tinggi. Banyak diantaranya memberikan kenyamanan seperti televisi layar datar, akses internet - WiFi, AC, penghangat ruangan, meja tulis. Hotel ini menawarkan fasilitas rekreasi yang mengagumkan seperti pusat kebugaran, sauna, taman bermain anak, kamar uap untuk menjadikan penginapan Anda tidak terlupakan. 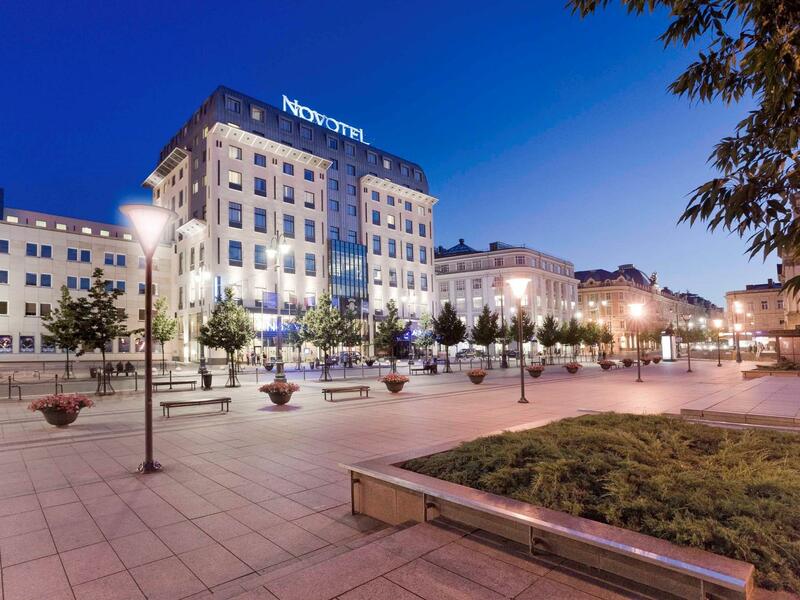 Novotel Vilnius Centre adalah destinasi serbaguna bagi Anda sebagai akomodasi hotel yang berkualitas di Vilnius. This hotel was fantastically-located on the entrance to the Old Town. Also, the bus stop for the 88 bus from the airport is literally metres away! Our room had a stunning view of the cathedral and castle. Breakfast was decent, although some local specialities would have been appreciated. Sound proofing also good. The only downside was the extreme heat in our room...the aircon wasn't particularly effective and although there was a window that opened, we had to ask reception for a handle to open it! Great hotel in a great location. — Close to all the tourist destinations and restaurants. The room was clean and had all of the amenities. The breakfast was outstanding. Will definitely stay here again if I’m ever in the area. So.happy to see Novotel was centrally located near restos like Chili Pica which has lots of choices.Shopping like Zara, H&M are just left and right the hotel. My room view is infront of the main park. Many tourist spots are walking distance from the hotel like the Vilnius Cathedral, St.Casimir Chapel. Perfect, to my mind ! Clean room and good buffet breakfast. Staff are accomodating when I requested to have an Omellette cooked for me, I didnt have a second word. Location is no bad, but it is not the best. Staff is friendly and helpful. We had early morning flight and not able to have breakfast buffet in hotel, but the staff of hotel said they can prepare the lunchbox for us and it is free of charge. The room is so big. I will come back again and for sure stay in this hotel again. This was my second time staying at the Novotel in Vilnius, and it was just as good as last time. It's clean, smells good, has an excellent breakfast, and is located in the center of Vilnius. The location is on the edge of Old Town, but only a couple blocks away from the main square, and tons of restaurants and a really good mall. There's nothing bad (in my opinion) about this place...I will stay here again the next time I'm in Vilnius. Good location, near major attractions. 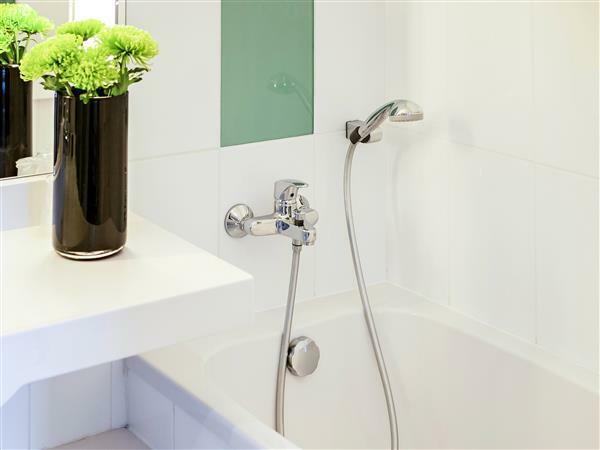 Room is clean with both shower and bath tub. Most of staff polite and informative. Wonderful experience: comfortable, free Internet in the room, free local calls, clean, helpful and friendly staff, excellent location (between Old Town and shopping areas), and a delicious breakfast (included in the price). Honestly, I didn't have a single problem and would love to stay there again when I come back to Vilnius! It was a very fantastic hotel in a very strategic location. All the main tourist attractions are just within walking distance from the hotel. The room was spacious and comfortable. I was staying on the top floor so the view was quite nice from the window. Breakfast was good as well and the staff were very helpful and friendly. There was a market/convenient store just behind the hotel. Many shops like H&M, Zara, etc. just next to the hotel. Definitely the best value for money hotel in Vilnius and for sure i will come back again next time. I am very satisfied by my staying at Novotel. Did not expected to have such a nice view from my room. As well in the room were all small things that are usually needed in trip that makes all easier. As well a positive thing was fast check in/out. Breakfast also was great.